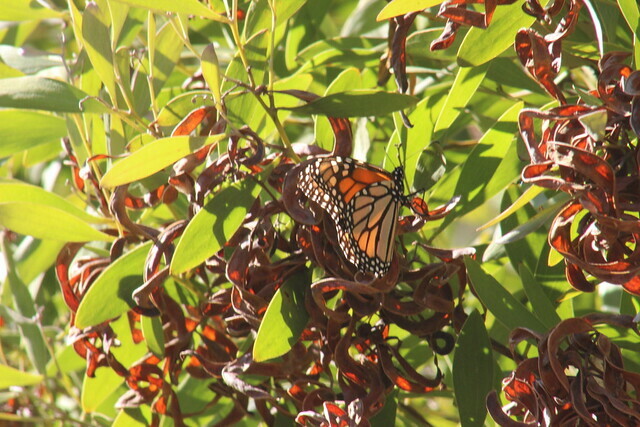 Directions: What is happening to the monarch populations around North America? Let’s analyze the data and find out for ourselves. Your job is to look at the data from one single site and then report back to the class at the end of the period. What is the name of the site you picked? What was the current population? By how much has the population decreased? If there are less than 50 individuals remaining in your area, we can consider that the population has crashed. Meaning it is in danger of disappearing. Has your population crashed? Is there development (things human beings have made, like roads and houses) in the area that might hurt the monarchs? If so, what kind of development? Are there things humans have done in the area which might help the monarchs? What are those things?